A common concern for parents is whether or not their child's development is typical. One area that tends to cause concern is gross motor development or the large muscle groups and whole body movement. Large muscle groups of the body allow such functions as sitting upright, crawling, walking, kicking, lifting and throwing a ball. A physical therapist is trained in recognizing a child's muscle tone and strength for their age appropriate skills. Gross motor ability is a critical life skill because it shares connections with other physical functions. For example, a child's ability to maintain upper body support will affect the ability to write. It is often said that movement (gross motor skills) is the key part of development and learning. 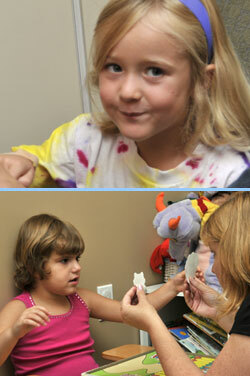 At CPCC, our physical therapist is able to consult, evaluate and treat children with delayed gross motor milestones.